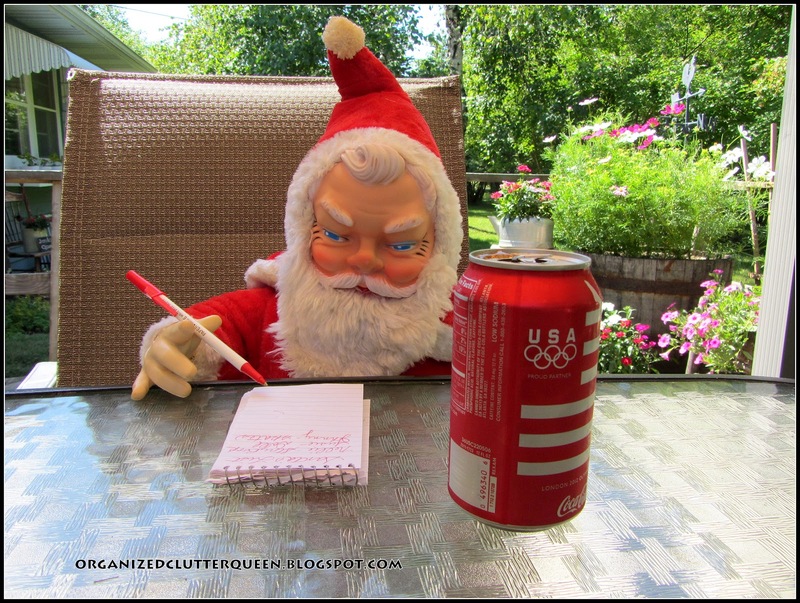 I think with all this talk of Christmas in July on the blogs and in the retail community, someone's ears were burning! 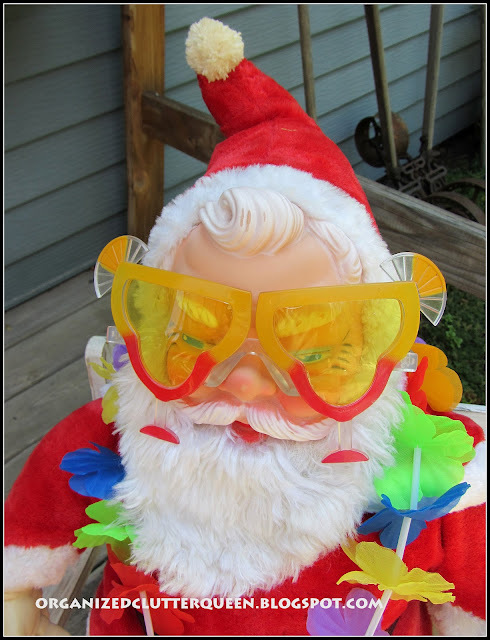 Sorry Santa, I know it's hot, but we don't have a pool! I offered him a chair on the deck in the shade. He sure seemed to be looking for some mischief. I don't know how he got my address, no fun here! 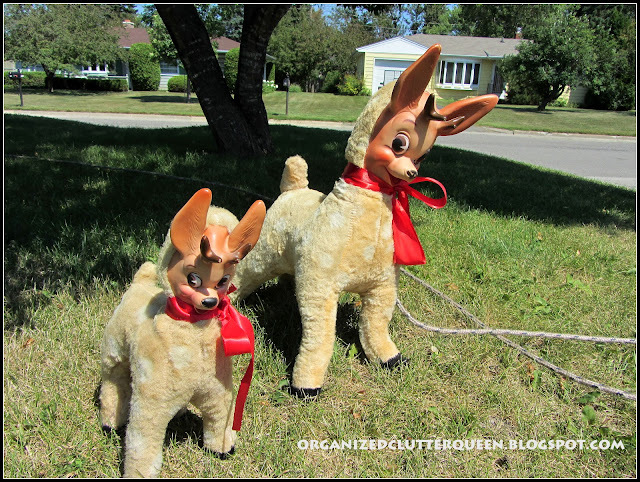 What a surprise to see two reindeer grazing on our front lawn (brown as it is), and tethered to the dog tie out! Get under the shade tree out there, guys! 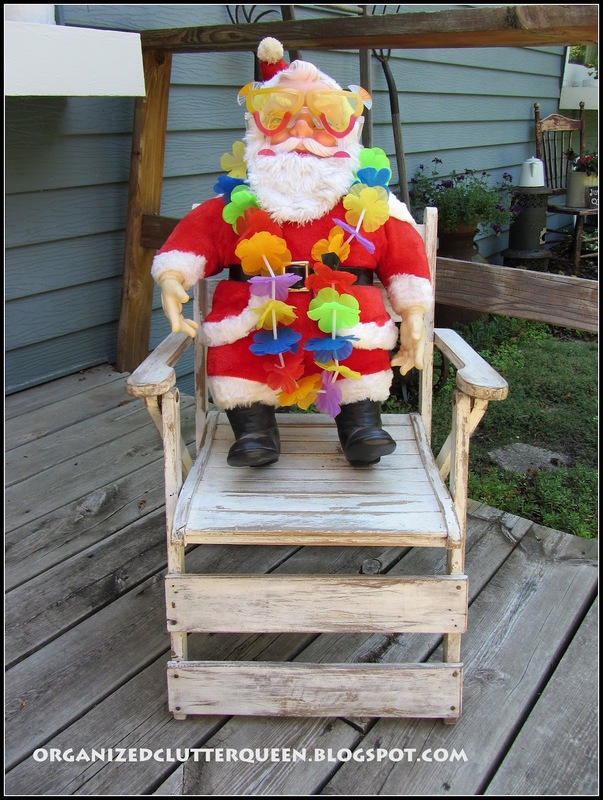 I guess Santa decided he missed the house with the pool party, so he settled in a chair by the table under the pergola. I offered him a cold drink. 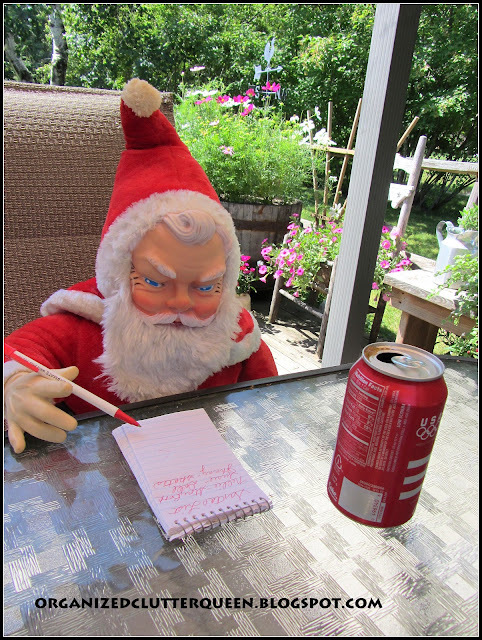 Pretty soon he was all business again, working on his Christmas list! 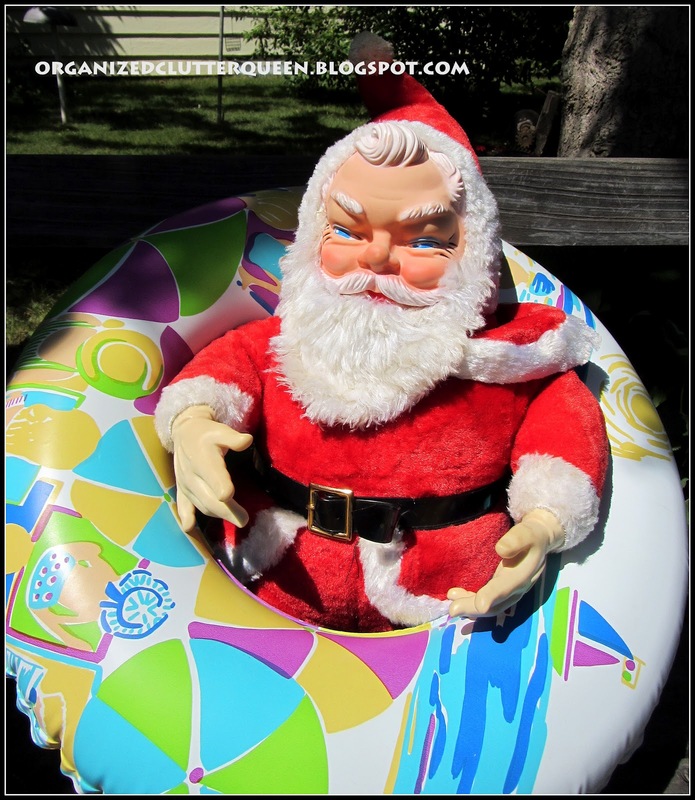 I hope you enjoyed my "July Visitor" post starring my childhood Santa and reindeer copyright 1959 Columbia Toys. Remember to enter my Ramsign giveaway! Great post so stinking cute and funny. Love this post! Very clever and cute. Especially love your vintage Santa and reindeer, how great that you still have them, they're amazing! Okay, now I want to know how you did this without your neighbors calling to see if you're suffering from heatstroke!!! Too funny! I would have to do this in the middle of the night and then somebody would probably call the police! I think I have the same Santa, but I'm definitely in need of some of those funky reindeer! What a cute Christmas in July post!! This is so cute! Loving all the Christmas in July posts! 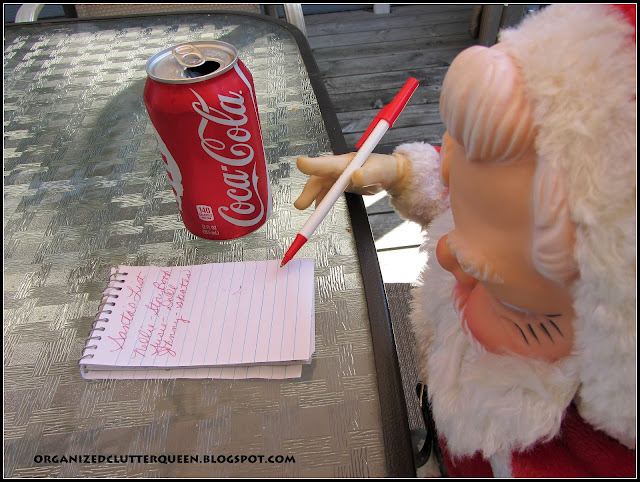 Love Santa making his list! Too cute. Thanks for stopping by and leaving your nice comment! I appreciate your visits! Oh my goodness! I was laughing out loud for real! Cutest post ever Carlene! That was too cute! 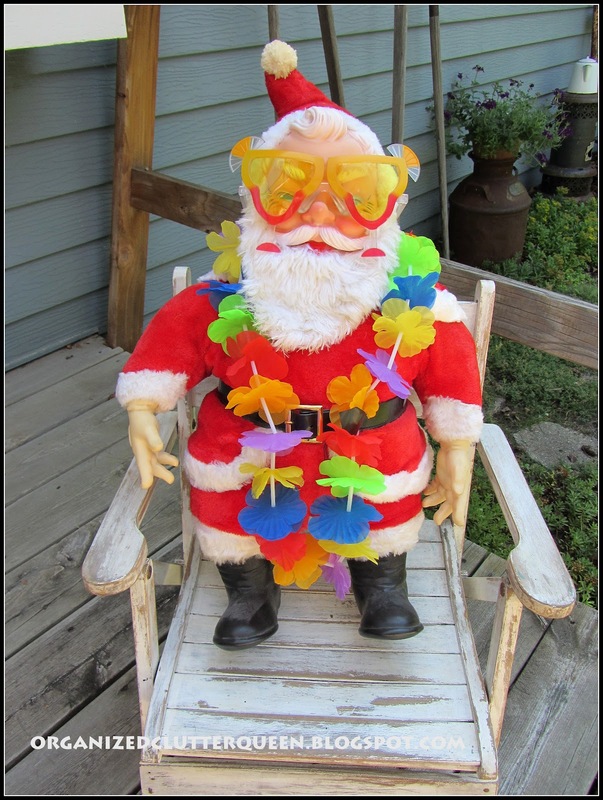 What a hoot with the sunglasses and lei! 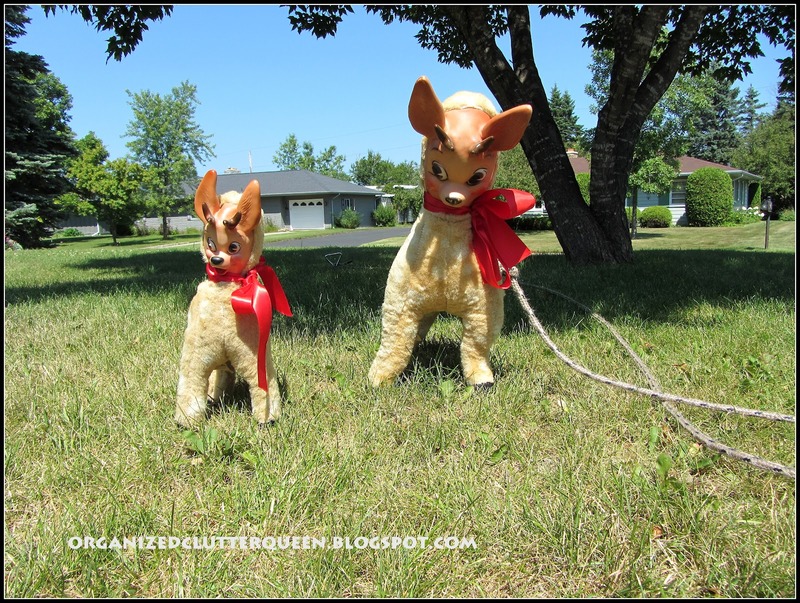 And the reindeer leashed to the tie out....you are too funny! Thanks!